I decided to write mini-reviews when I don’t have the time to write full reviews but still want to talk about the books I’ve read. I’ll always do three at once. So yes, that’s like a normal reviews but… short. Here we go. Angel Rahimi loves The Ark, a teenage boyband. So when they’re doing a show in London, she stays with her internet-friend and fellow fandom-member Juliet to go to meetings and the concert. Jimmy Kaga-Ricci is the singer of the Ark. With his band, he has achieved his big dream but with fame also come problems that bring his life in a downwards spiral really fast. When the two of them meet unexpectedly and have to sort out some things, they discover help in unexpected places. 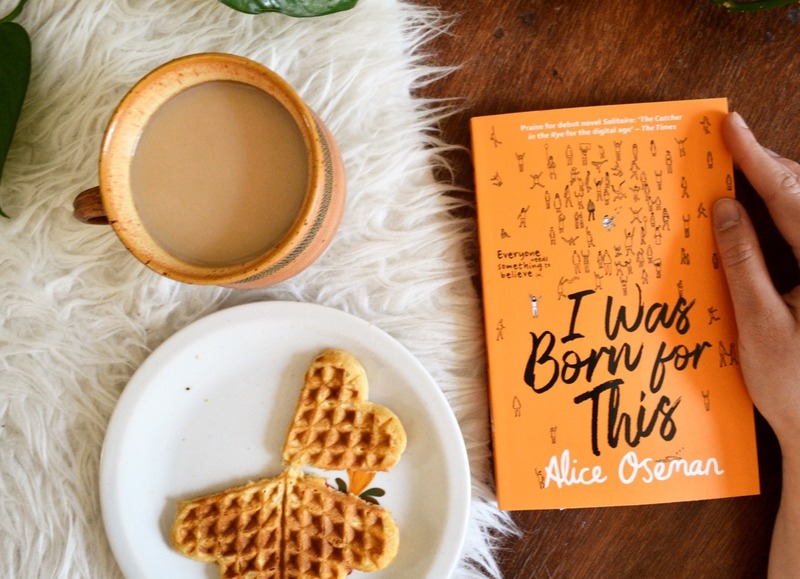 I very much enjoyed this book, it’s probably my favourite book by Alice Oseman. The characters are very real and authentic. Angel is this obsessed fangirl, who is actually very sweet and caring, but still has a great character development where she realizes who she is and what she is doing. Jimmy seems to be cool and to be liking fame, but there is so much beneath the surface. Anxiety, not feeling safe, not knowing who he is. While those two are the main characters, there’s also focus on the others, who the reader gets to know pretty well. The story is also great. It shows what it’s like to be in a fandom and it also shows what it it like to be famous and how there are many different ways to deal with fame. Also, the diversity. We have a hijabi main character, a trans protagonist with mental illness, a bi secondary character, a black secondary character. And as always, I LOVED the writing style. Easy and fast to read. Fits with the characters. Yup, I loved this book. After her grandfather and guardian dies, Marin leaves everything behind to go to college. She ignores everyone, even her best friend, Mabel. But then Mabel comes to visit her for three days, right before christmas. And just like that, Marin is confronted with her past and she tries to find a way to deal with it. I was a bit confused in the beginning. I couldn’t get behind what exactly was happening but it unfolds pretty soon. In the beginning there are mainly Marin and Mabel, being awkward around each other, but then we get throwbacks to the year before, when both of them lived in San Francisco and everything was fine. They start talking to each other, both building an understanding of what the other is going through. They work out their past and especially Marin’s. Even though the book is written in Marin’s POV, the reader gets to know the story with Mabel, which I think is a pretty amazing way to tell a story. This book deals with love and friendship and loss of a loved one, it deals with sickness and new beginnings. And at the end, I bawled my eyes out. 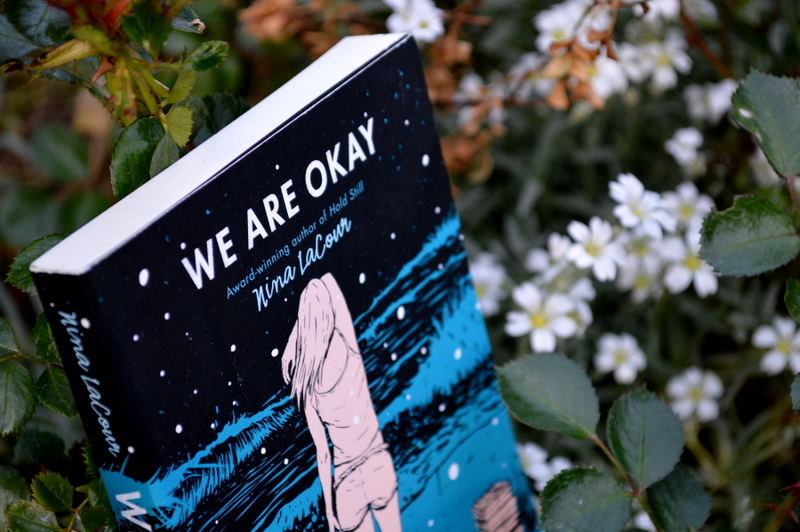 We are Okay was beautiful and devastating and sad and I liked it a lot. It has been 65 days since the accident. 65 days since Camilla died. And it is also Juniper’s first day back at school. She borrows her dead sister’s bag and discovers a letter there. Apparently Camilla was in a secret relationship. 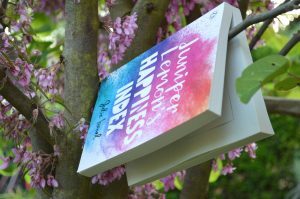 Juniper wants to find out who the mysterious „You“ is, whom the letter is addressed to. On her mission she makes new friends, finds love and also has to deal with everything bad life has to give her. I read this book in one sitting, in only a few hours. And I probably laugh-cried on a train. That said, I did not have any expectations before reading it. And I enjoyed it. I loved Juniper’s character. She’s empathic and really nice, but she also has a temperament. I loved reading her story, and how it develops. The people around her learn and change as well, through new experiences and through remembering ones that already happened. New bonds are formed. I also liked how different people deal with the death of a loved one in different ways, how they try to cope. I absolutely enjoyed what I read here. Ich hoffe, dass Radio Silence dir gefällt. Ich liebe liebe liebe das Buch ♥ Alice Osemans Bücher sind einfach alle richtig genial, genauso wie ihr Heartstopper Comic. Und du hast Recht, die neuen Cover sind echt schön 🙂 Und jap, das macht absolut Sinn!! 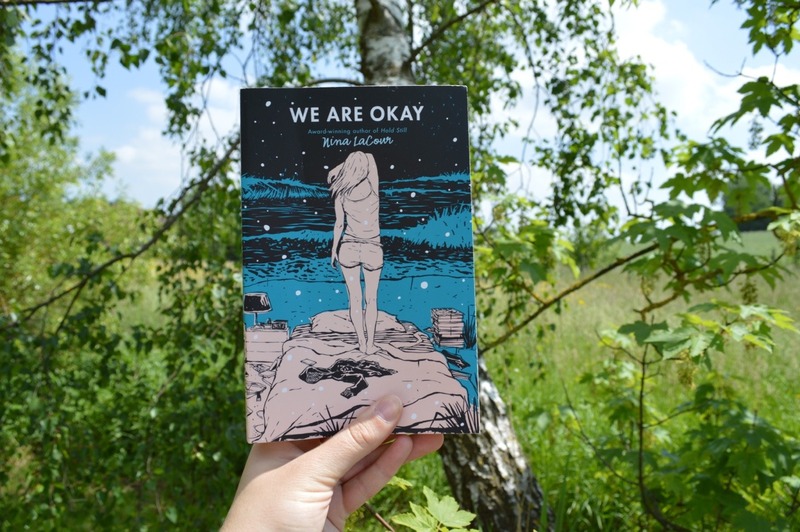 Dass der Fokus bei We Are Okay so auf den Charakteren lag fand ich auch toll, das hat das ganze einfach sehr emotional gemacht. oh yes, I remember. „We are okay“ also destroyed me. I read it in one sitting and it was really well written and stuffed with so many emotions. Have you read any other books by the author? Hast du schon was anderes von Nina LaCour gelesen?